To get a sample of our books, read articles directly from the books. A Book & DVD that will make your Woodworking projects Faster, Easier & More Fun! Book: 170 pages | DVD: Around 2 hrs and 15 minutes. 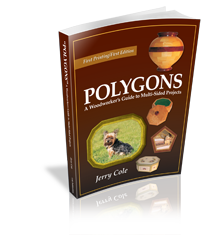 If you want to build “multi-sided” projects, you will find “POLYGONS” to be a very easy to understand reference that has all the information you need to do them right the first time. In it, we cover the information for building 5, 6, 7, 8, 9, 10, 12, 14, and 16 sided projects. The DVD also covers building all of these shapes, (as both frames and panels). 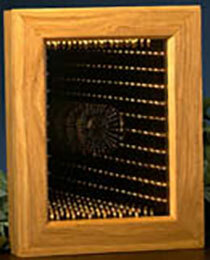 The DVD shows techniques for working with flat molding, highly profiled molding, and also includes a section on working with compound frames. You will be amazed to see how easy these projects are to do! When I started this book, one of my goals was to put together the ultimate reference for customers who wanted to be able to build a perfect picture frame the first time they cut it. Another goal was to make the book very informative, but not use it to promote the Dubby in the process. 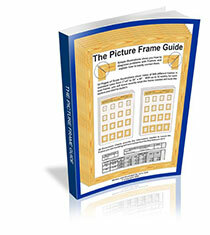 Regardless of the tool you use to cut miters, you’ll find “The Picture Frame Guide” to be a great shop reference that when followed, will make building picture frames a lot more fun, with much less wasted time and materials. 126 pages. The Infinity Light was the first article done in the series. It’s the perfect “beginners project,” built requiring only 4 rectangles; 2 frames, 1 box, and 1 panel. It’s also one of the most attractive (and mysterious) projects you will ever see. I guarantee that if you build one Infinity Light, you will be asked to build more! Beautiful color plans (in PDF format) that can be downloaded and printed are attached on the DVD. 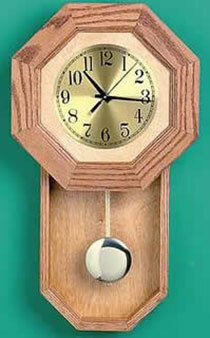 This “country style” Schoolhouse Clock is easy to build, attractive, and can be easily adapted to fit any home decor. 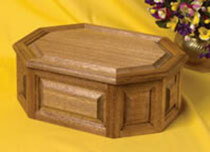 It can be built from your favorite hardwood, made with a contrasting face and/or back, or made to be painted, if you have an artist in the family. The Raised Panel Box is a project that I really did enjoy doing. In the process of building the box, you will learn a lot of simple techniques that will help you when you are doing larger mitered projects, angled panels, and cabinetmaking. 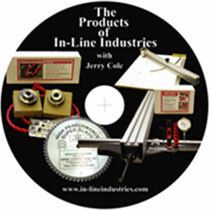 This 1 hour and 40 minute video shows you how to use the A-Line-It to test almost every tool in the shop. It has an in-depth section on setting up the Dubby, and also how to make some accessories that will make the Dubby even more versatile and fun to use.